VMware's Workstation 10 upgrade can handle more powerful virtual machines and offers other enhancements, but is it worth the price? and development application for your business. Does it live up to the hype? I'll explore what I believe are the most significant features and whether they are worth the price of the upgrade. I'll start by saying I believe it is usually best practice to upgrade software versions as new ones become available. 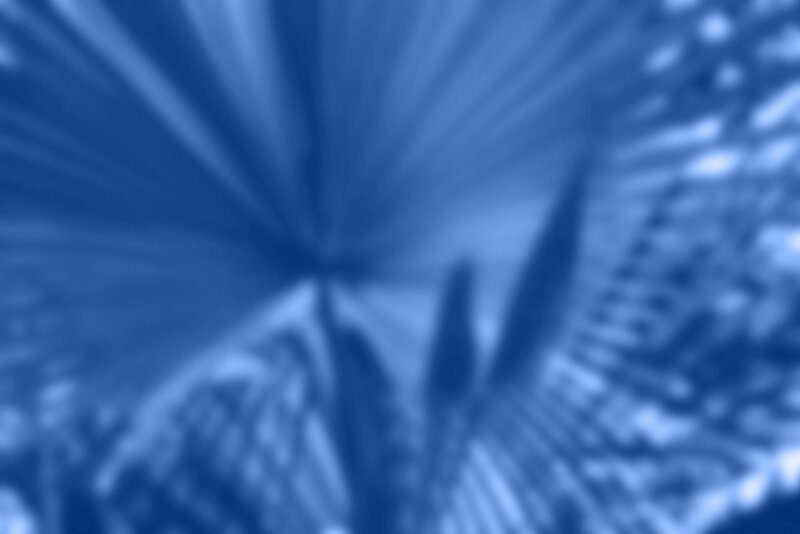 By keeping your software applications at current production levels, you take a large step to protect your environment since upgrades tend to improve security. In addition, the latest versions generally have the best level of manufacturer support. However, along with upgrades for security and support improvements, we expect the new features and functionality will justify the $119 cost -- both for the software and, if necessary, the new hardware that supports it. Support for the newest version of Microsoft's desktop operating system is a good thing. However, to call it a feature of a version upgrade rather than a free enhancement to the current version is really grasping in my opinion. Microsoft users can upgrade from Windows 8 to 8.1 for free, so why does VMware charge for supporting the new OS? I believe this should have been a free update rather than being considered a new feature of Version 10. VMware stated it now supports the following hardware in Version 10: 16 vCPUs, 8 TB SATA disks, 64 GB RAM, 20 virtual networks, USB3 streams and SSD pass-through. Depending on your particular environment, these may be significant improvements, though I would not consider them revolutionary. I'm glad Version 10 supports USB3; this will make it much easier to run a virtual machine (VM) over a USB connection to an external hard drive. Trying to do this over USB2 was possible, but definitely not very efficient from an I/O perspective. SSD pass-through is also a good feature, as guest VMs can now utilize the improved performance of a solid-state drive. For those of us who have used a KVM (keyboard, video, mouse switch), this feature is now available for toggling between guest VMs using hot keys. VMware has published a PDF file that describes how to implement it. This is one of the few good, new features in Workstation 10. If you have an encrypted guest VM, you can set the VM to expire at a particular time and date. This function is helpful if contractors or consultants are using a VM and you want to limit its lifespan. I can also see this as useful if you want to expire VMs that are out-of-support on a particular date. This can prevent you from accidentally using unsupported operating systems, thus opening up the environment to security holes. 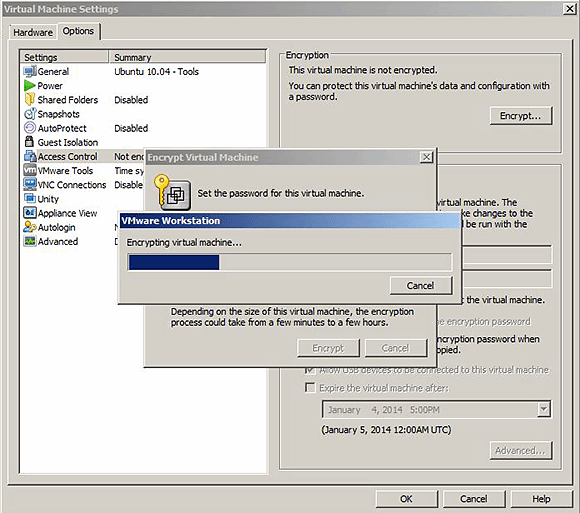 Encrypting a virtual machine in Workstation 10. To configure this, your VM must be powered off, then right-click on the VM in the "Library" pane and select "Settings>Options tab>Access Control". If the VM is not encrypted, you must select "Encrypt" to proceed. Workstation 10 allows you to set an expiration date on a virtual machine. 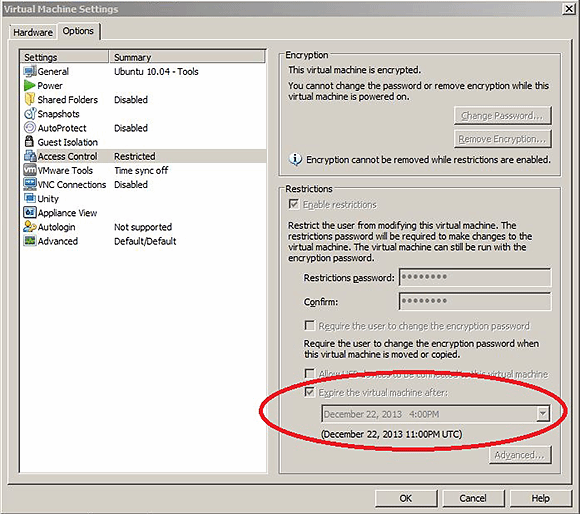 Once the guest VM is encrypted, you can go to the "Restrictions" box and select "Expire the virtual machine after:" and input a date and time for expiration. If the VM is powered on when the expiration date and time have passed, the VM will display the following message: "This virtual machine has expired." Clicking "OK" will save the state of the VM and suspend it. You will be able to power it back on only if you supply the "Restrictions" password and edit the "Settings" of the VM to either unselect the "Expire the virtual machine after" option or change the date and time to some point in the future. In my opinion, Workstation 10 is rather anemic when it comes to essential improvements for day-to-day use when compared with previous Workstation versions. The expiring VM feature is a nice security enhancement, which may ultimately be worth the cost. VMware should have made the features of Workstation 10 available as a free -- or substantially less expensive -- upgrade. Are the updates to Workstation 10 worth the upgrade cost?